Backup singers are the unsung heroes of music. Their job seems simple, but to do it well requires plenty of observation and practice. 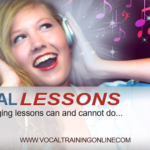 That’s why I’ve included this episode on how to sing backup vocals the right way. It is simple – once you learn the technique. They have to support the lead singer’s voice while blending in with the music, all without drawing attention away from the lead vocalist. To support a band with your vocals, you’ll need to listen to them play. Pay attention to their energy level, common notes, and volume. Watch the lead singer closely to get a feel for their pitch and phrasing. Listen to the band’s recordings before you even get to a rehearsal, if possible. That way, you’ll be familiar with their style and you can jump right in. voices, though; it means singing complementary notes with other singers. Harmonizing vocalists sound a bit like a chord played on a guitar. Different notes are sung simultaneously for a rich, vibrant vocal effect. Practice harmonizing with other vocalists, or with prerecorded tracks. If you’re using a track, turn down the volume until you can just hear the vocals. 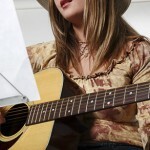 Try singing various notes to harmonize with the melody. If you’ve got a friend to help you, stand apart from them so that you can concentrate on singing higher or lower. Once you’re able to harmonize effectively, you can start working on blending in with the lead vocalist during songs. A backup singer should not be the center of attention. It can be embarrassing to start singing too soon, or finish singing too late, leaving your vocals in the spotlight when the lead singer has stopped. The best know how to stop and start along with the lead singer. Remember, you are backing him or her up – not taking over. To do this, you must be able to see the singer’s face clearly. Take a position on stage where you can watch the lead vocalist for cues. While the lead singer sings, you should be singing along in your head the whole time. 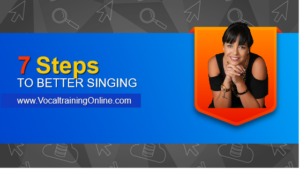 This will help you know when to start singing, and will help you match the lead vocalist’s energy level and emotions when you come in. Proper phrasing is a big part of being a successful backup vocalist. You have to sound a lot like the lead singer in order to blend in and not distract from the lead vocals. You can do this by matching the lead singer’s phrasing. Observe the lead singer and take note of their vocal habits, inflections, and vowel pronunciations. For the best blending, you’ll need to imitate them as much as possible. You want your voice to be like an echo of theirs, simultaneous and on pitch. This technique might sound funny at first, but it comes across well during live performances and recordings. It works with any harsh-sounding letter. As you can see, there’s more to being a backup vocalist than meets the ear. Just take your time and practice as much as you can. Remember that your voice is an instrument that helps the band produce beautiful music. Is Your Harmony Holding You Back? 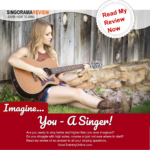 Singorama’s vocal training course lets you practice singing at your own pace. I hope you learned some good backup singing tips here. If so, tell me what you think in the comments below. Also, come back often to learn to sing better. I’ve included a free gift below to keep you singing.. Guy! It just works on so many levels!!! ?